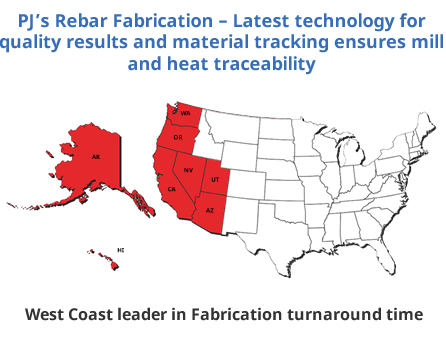 For those with their own in-house or on-site rebar fabrication equipment, stock rebar can be a good way to save money on a project. PJ's Rebar can provide domestically-sourced stock rebar in standard sizes from #3 to #8 in 20-0 and 30-0 lengths. We will source the rebar you need in the quantities you require and ship it to you, and you can cut, bend, and otherwise fabricate it as needed on your end. We source our domestic stock rebar from some of America’s best and most dependable mills. We will work with you to get the best prices for your project. Fast and reliable shipping service ensures that you’ll receive the materials you need in plenty of time to meet your deadlines. We also offer 20-0 and 30-0 import stock rebar and 40-0 and 60-0 stock rebar. 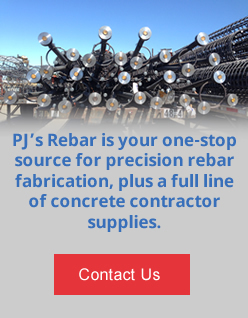 PJ's Rebar is an industry-leading supplier of domestically-sourced stock rebar. Request a price quote today, or contact us for more information.